Marie has been a GP in Blackpool for over 20 years. Prior to this she worked at Blackpool Victoria Hospital where she developed an interest in mental health and well being, emergency care and women’s health. 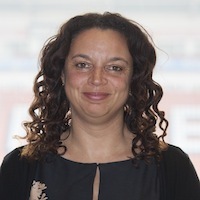 Currently, she is the Vice Chair for Blackpool CCG, clinical lead for mental health issues and is involved in the further development of community services. In addition to this Marie also represents the CCG on the Blackpool Safeguarding Adults Board.